One thing continues to appear highly likely: The entire rally since 1292 is a correction to the larger trend, which is now down. Trying to sort out the short term moves has been challenging. Ugly corrections like this are very difficult to predict from day to day, so I've drawn up a chart of the Dow Jones Industrial Average (INDU) to help illustrate some key levels to watch, because the pattern in SPX is a complete mess. I think the potential for whipsaws here remains fairly high. On the chart below, sustained trade beneath the red trendline would serve as first warning to bulls, but a break of 12419 is required to add confidence, and a break of 12311 to confirm. 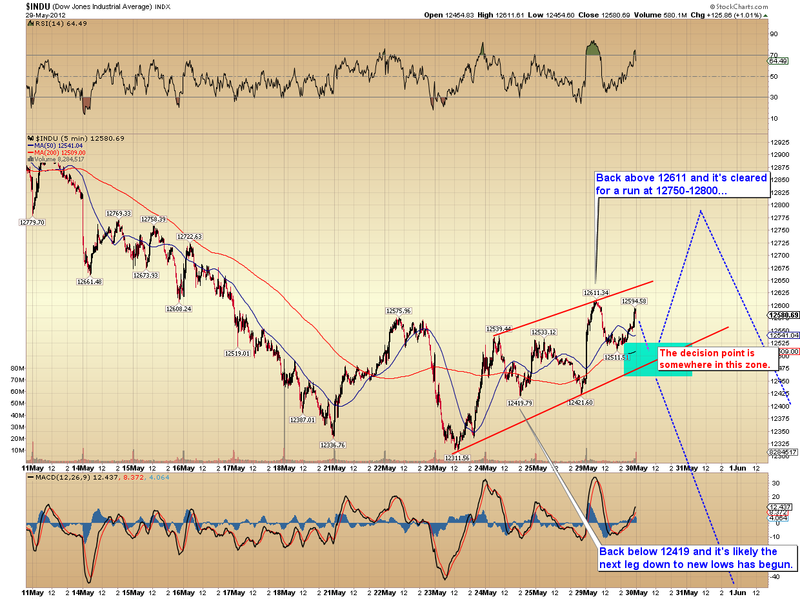 The next chart is the intermediate outlook for the S&P 500 (SPX). 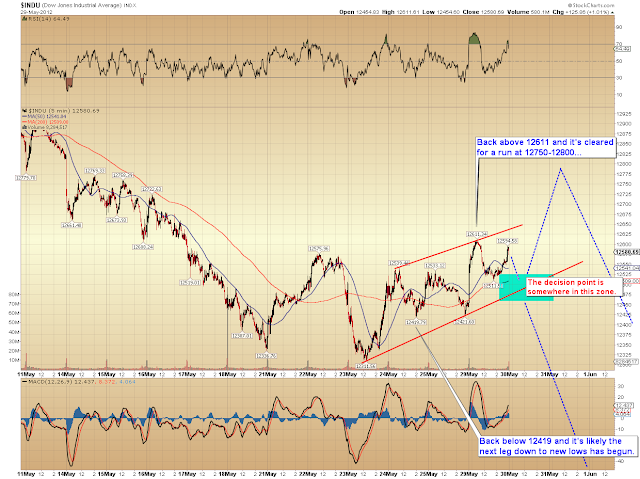 It is still expected that the mid-1200's will be seen sometime over the next few weeks. 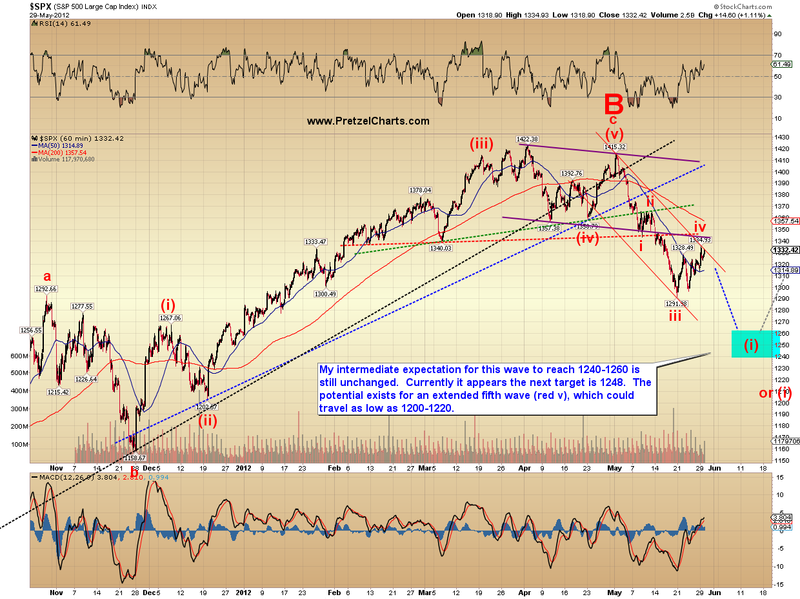 Finally, the SPX short-term chart, which also highlights some key levels to watch during the next couple sessions. 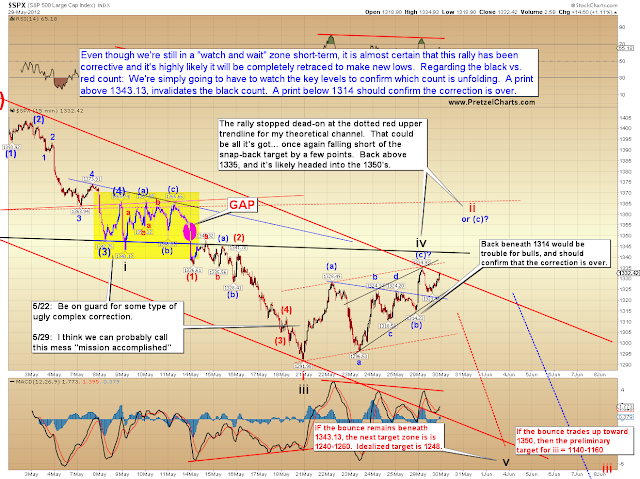 This chart's messy at the moment, which is why I published the INDU chart to simplify things a bit. 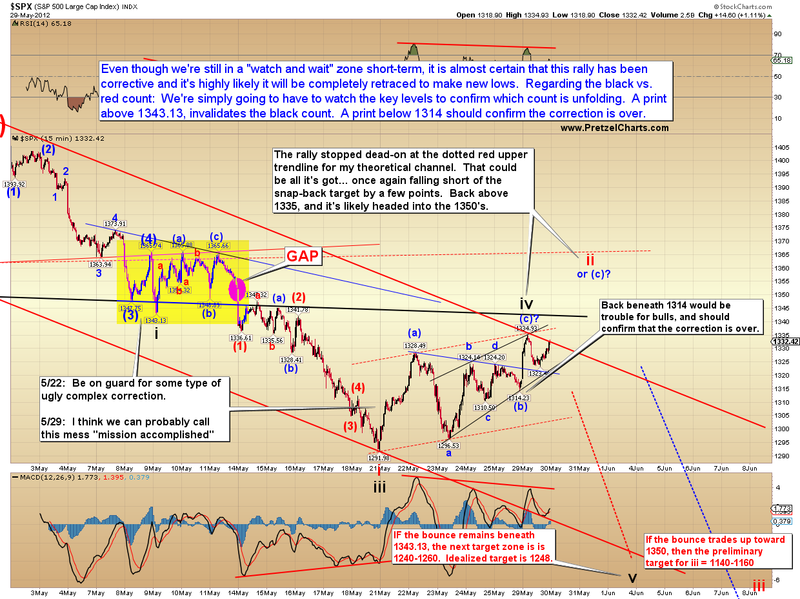 In conclusion, the rally appears corrective, which strongly suggests new lows to follow. Hopefully, the key levels outlined will aid in illuminating the short-term path the market is planning on taking in the interim. I do believe the the potential for whipsaws remains high until it breaks out of this range -- and it would not be out of the ordinary for the market to make another run down to test the lows, and still make one more run back up to the mid-1350's. Until things clarify, I'd urge caution and nimbleness for short-term traders. Trade safe. Hi PL. I just registered on the Deep Wave Analytics site. This message is to confirm that I have previously posted to this site and would like you to approve me on the new site as TraderAndy. Hi, was previously in a small private chat with katzo7 - am hoping to get approved at the new site. Thanks!